First and foremost, I am grateful to my Dad & Mom for holding my hand and guiding me through all the storms and showering me with their everlasting love, grateful to my Teachers for their efforts in imbibing the knowledge in me and the Almighty for his kind grace whatever I am today. 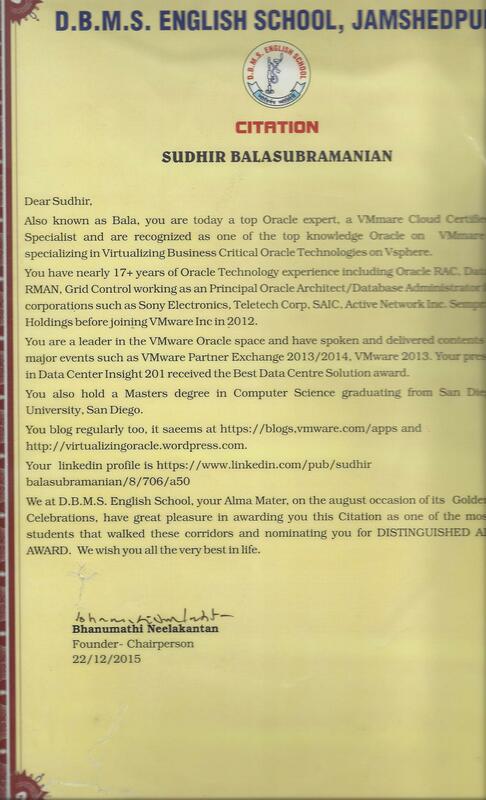 I have been and still am an avid Oracle evangelist and enthusiast , having started working on Oracle 6 database as part of my Bachelor on Computer Science degree from SIT , Tumkur [ 1991 – 1995 ]. My thesis project was on Library Management Services (LMS) on Oracle 6. Currently , I am a Staff Solution Architect , Oracle Practice Lead working in the Cloud Platform Business Unit (CPBU) specializing in all Oracle Technologies on VMware SDDC including vSphere , vSAN and VMware Cloud on AWS. I am also experienced in EMC SAN technologies along with Unit / Linux Operating Systems (Red Hat, Oracle Enterprise Linux, HP-UX and Solaris). I have also worked on Veritas products e.g VCS , VXVM, VXFS, Netbackup. I am a vBCA Specialist , a vExpert and VMware VCA – Cloud certified. 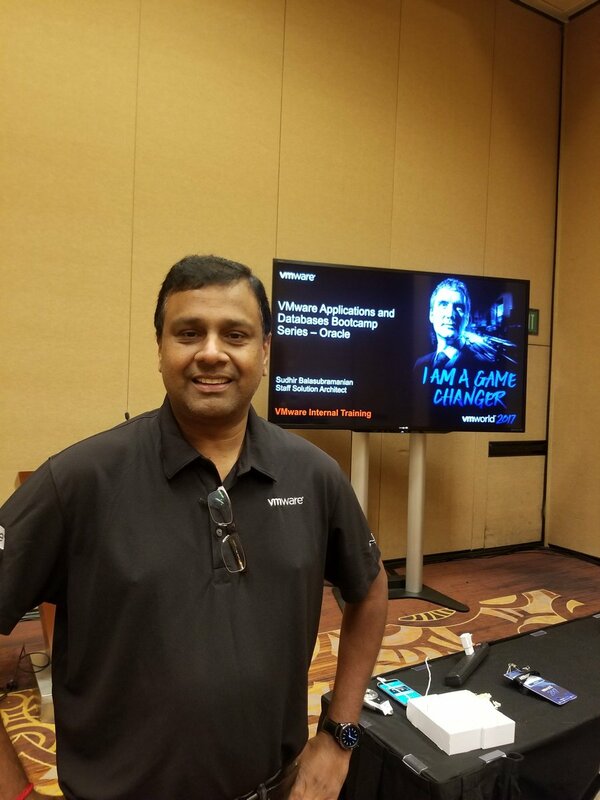 I have delivered sessions and spoken in Oracle Open World, IOUG(Collaborate), VMworld, VMware Partner Exchange, EMC World, EMC Oracle Summit. My entire schooling till 12th grade was done in D.B.M.S. English School, Jamshedpur, India. A poem by famous Indian poet, Maithili Sharan Gupt, summarizes my approach to life.